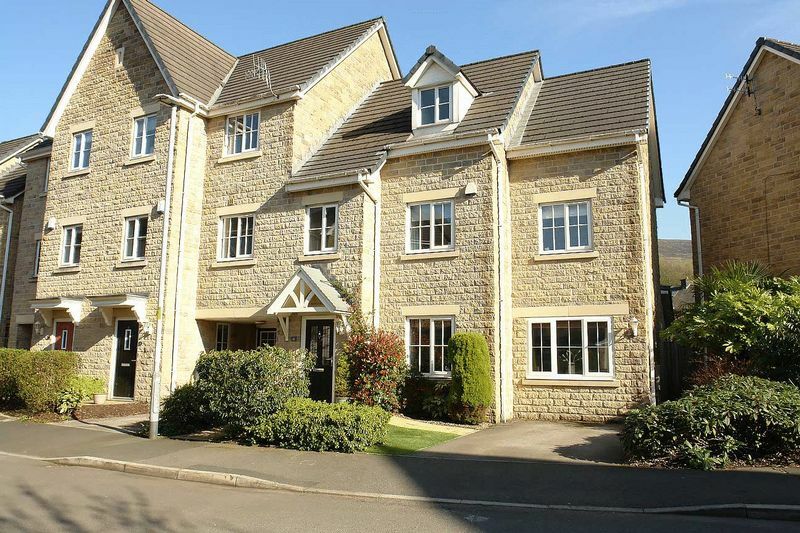 This large four bedroom end townhouse is the former show-home for the development and provides everything needed for modern family living. 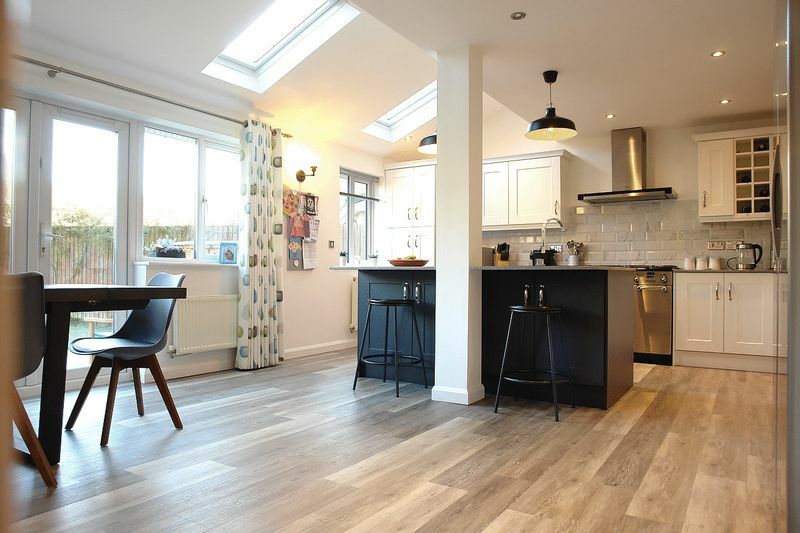 Situated towards the front of the development for ease of access and with a South facing enclosed rear garden to the rear which catches the sun all day this modern property is certainly worth a look. Accommodation is spread over three floors and provides generous room sizes via the spacious lounge, open plan kitchen and dining space which overlooks the garden and two bathroom facilities along with the downstairs toilet, Maintained to a very high standard and warmed with gas fired central heating (BAXI combi 2019) and fully double glazed throughout with both uPVC and velux roof windows. 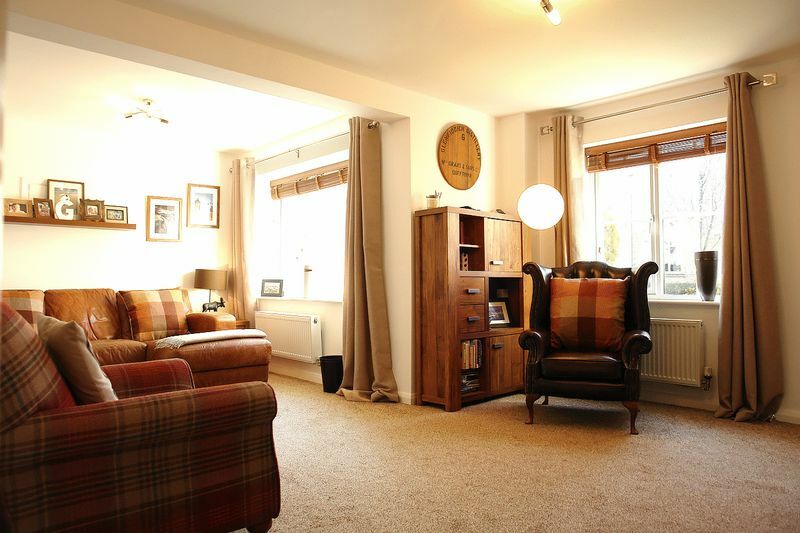 Mossley centre is a short drive away along with both Mossley and Greenfield railway stations and families will be particularly pleased that the property falls within Mossley Hollins High School catchment boundaries. Accessed via a glazed entrance door with radiator, vinyl flooring and stairs rising to the first floor landing. (Maximum measurement) A spacious lounge with two front facing uPVC double glazed windows, fitted carpeting, two radiators. 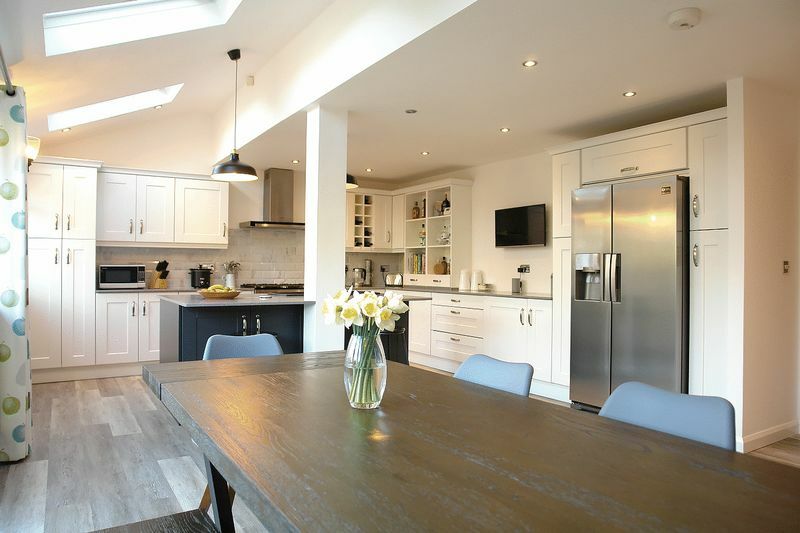 A large open plan kitchen-dining room with a full range of fitted wall and base level units with quartz worktops including breakfast bar. 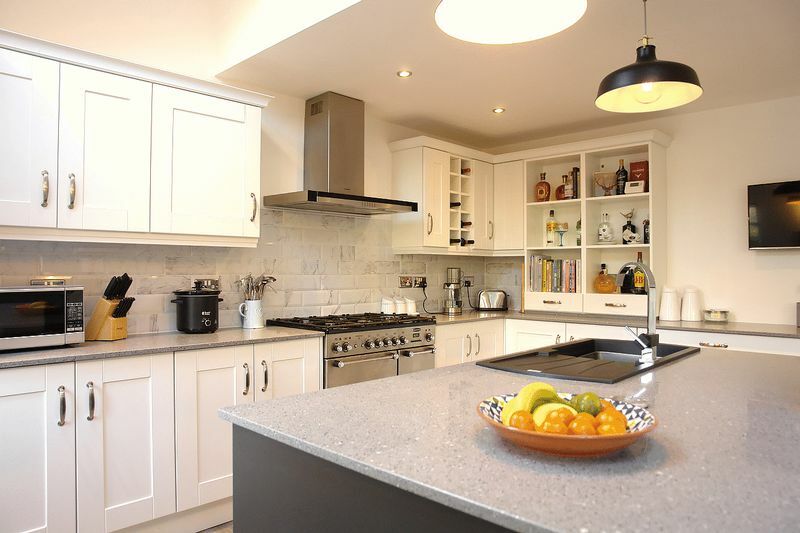 Integral appliances include dishwasher and washer/dryer with a recent BAXI combination boiler installed Jan 2019. Three large uPVC double glazed windows and three velux roof windows provide plenty of natural light along with uPVC double glazed French doors which lead out to the garden. 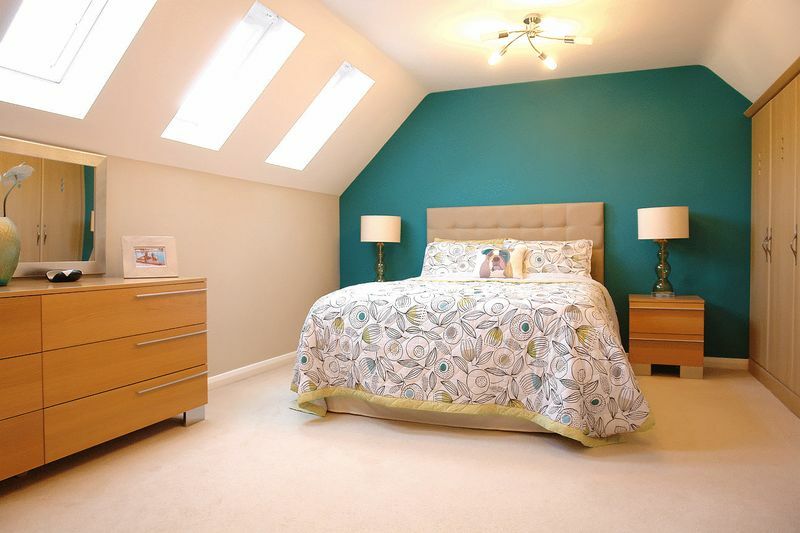 The room has ample room for a large dining room and the Polyflor (Camero) run throughout. Comprising low level wc, wash hand basin, splash back tiles, extractor fan and Polyflor (Camero) flooring. First floor landing has storage cupboard, fitted carpet, two radiators, uPVC double glazed window. 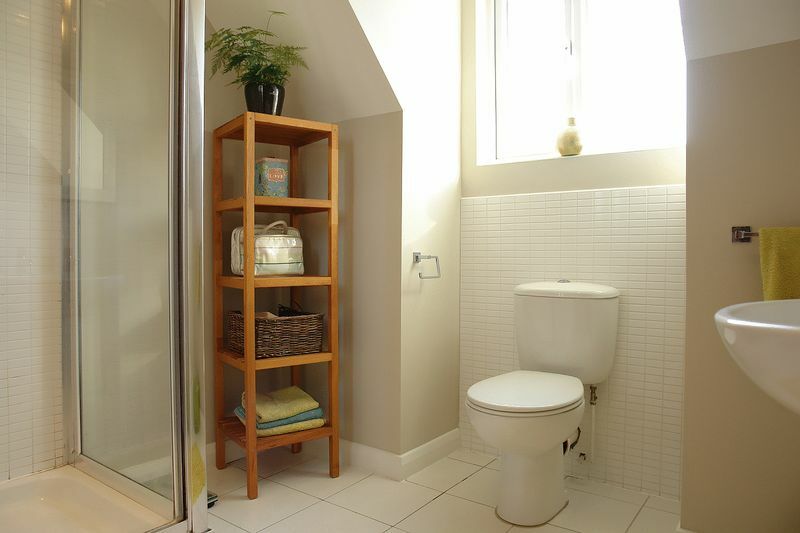 Second floor landing features large storage cupboard, fitted carpet, velux roof window. 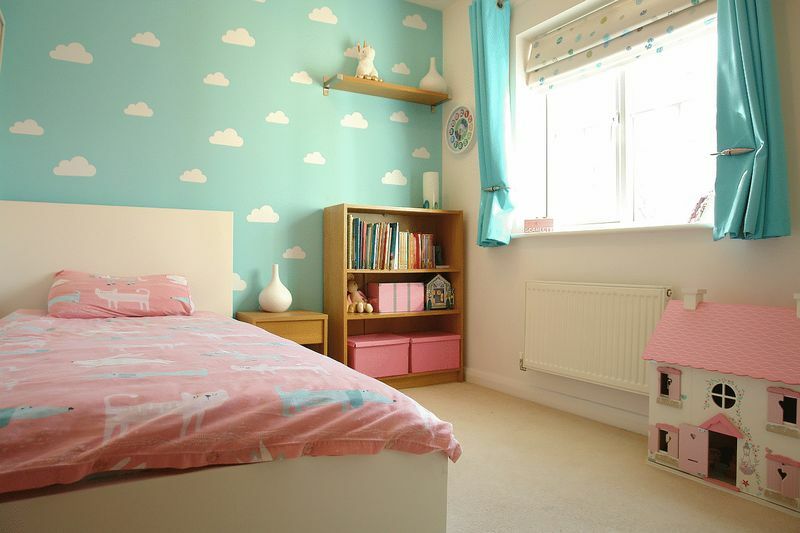 With fitted carpet, radiator, fitted wardrobes, three velux roof windows. 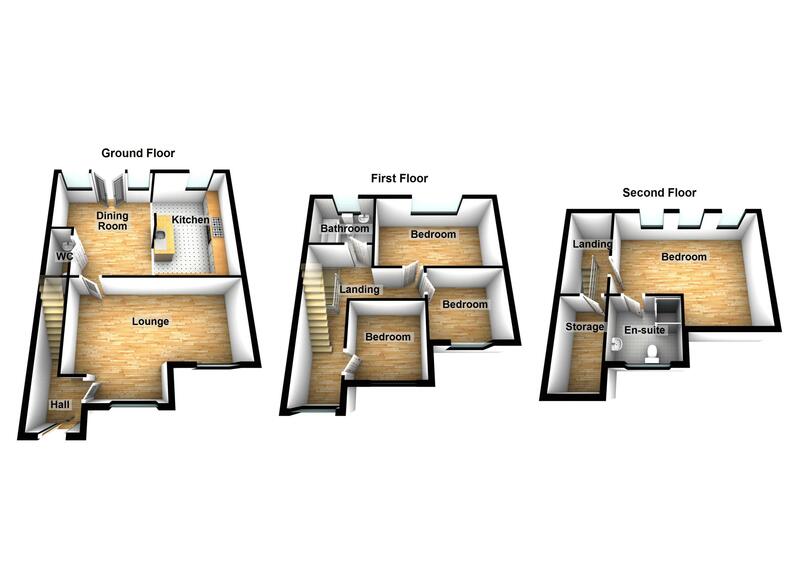 (Maximum measurements) Comprising low level w.c, hand wash basin, double shower cubicle, part tiled walls, tiled flooring, electric toothbrush/shaver point, uPVC double glazed window. 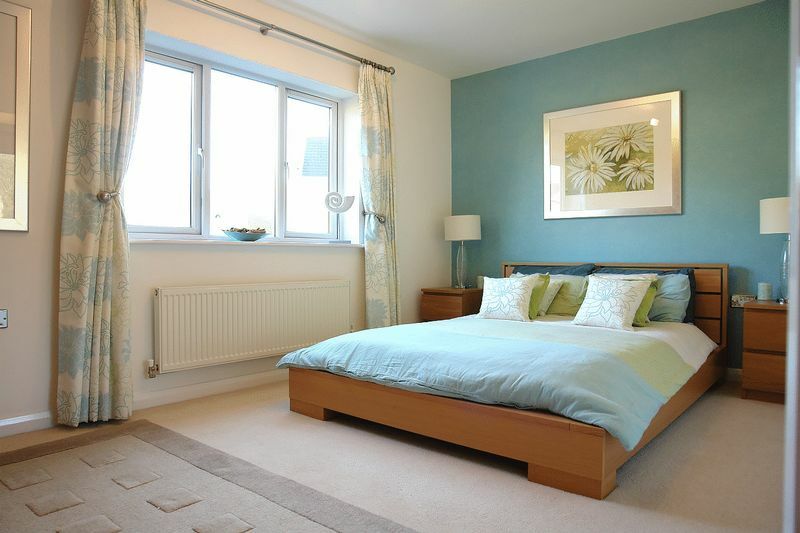 With fitted carpet, radiator, fitted wardrobes, uPVC double glazed window. (Maximum measurements) With fitted carpet, radiator, uPVC double glazed window. 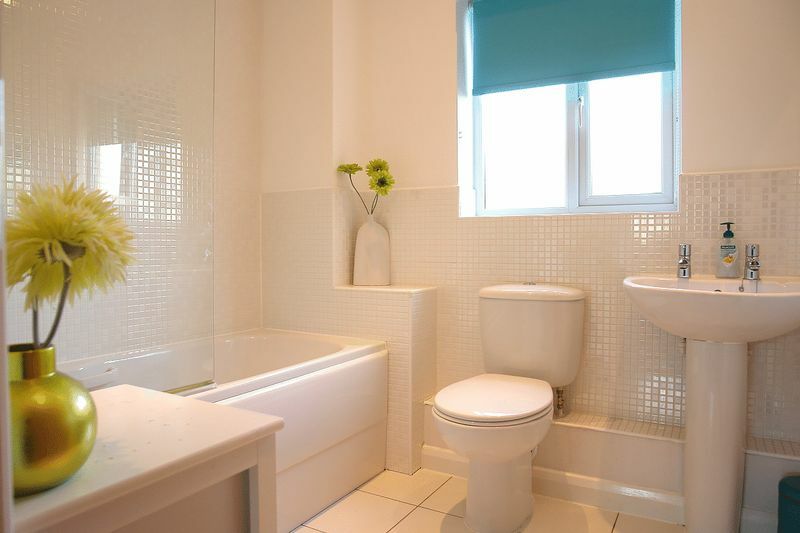 Three piece suite comprising low level wc, wash hand basin, bath with mixer shower attachment and screen, part tiled walls, radiator, tiled flooring, uPVC double glazed obscure window. A driveway along with shrubs and pathway to the front door. 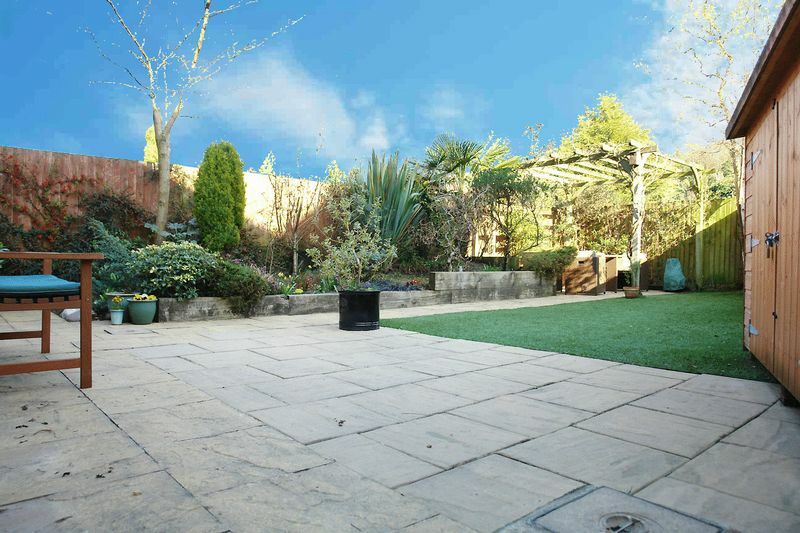 The south facing garden comprises both a paved patio area and Astroturf along with a lovely flower bed planting area. 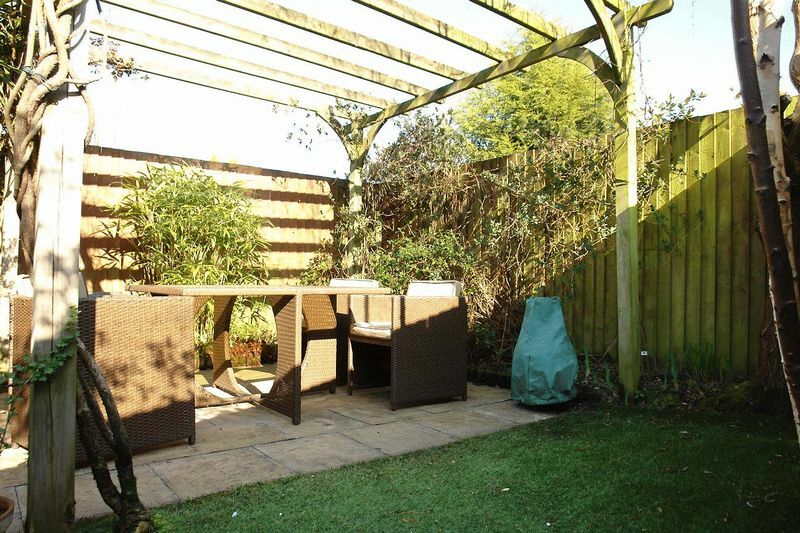 The rear garden is fully enclosed with boundary fencing.